Ok, so maybe not only kale. But I bought a big bag of the green goodness and had a bunch this past week. I’ve failed to take note/picture all of my meals (I think that’s just not a possibility), but I did manage to take a few… so if you’re in the market for some fresh healthy (and yummy if I do say so myself) ideas, here ya go. Browned onions in red chile sesame oil, soy sauce sautéed shitake mushrooms and asparagus with balsamic marinated artichoke hearts mixed with kale. 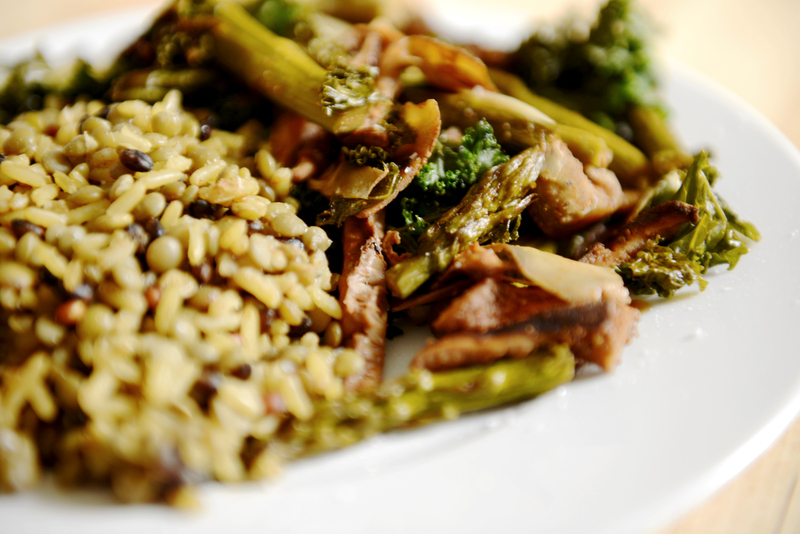 On the side of curried lentils & a brown rice medley. 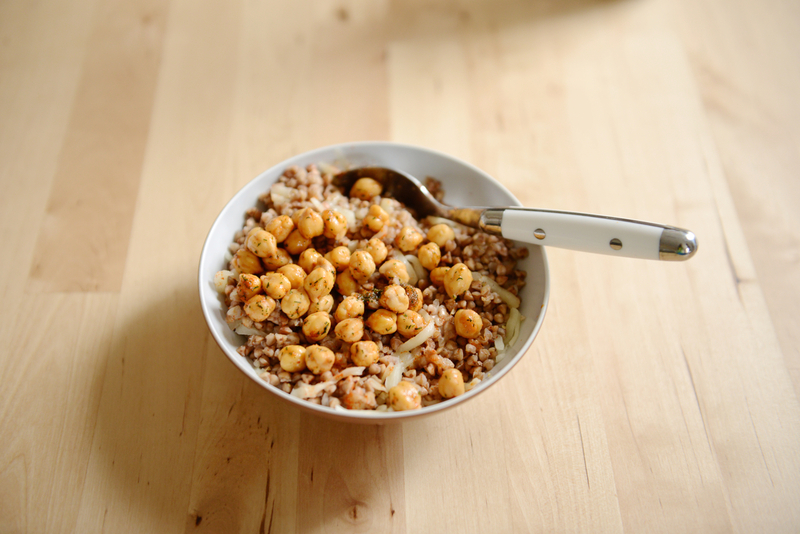 Quick breakfast… buckwheat, shredded mozz, and season chick peas. BOOM. 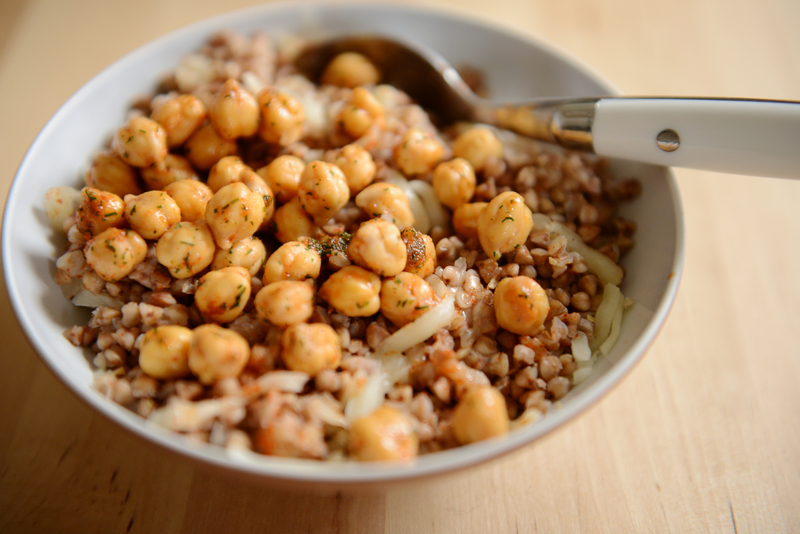 I like to keep chick peas around for snacking and quick meal additions like this. I buy them dried (cheaper) and soak them in water (not the whole bag at once, because that’s like a LOT) over night. I drain them in the morning (you can just try one to make sure they’re soft) and season them with whatever I feel like that day. These were seasoned with sea salt, smoked paprika, cayenne pepper, and dill weed. I never go ‘easy’ on anything… the more spice the better. Bold is YUM. 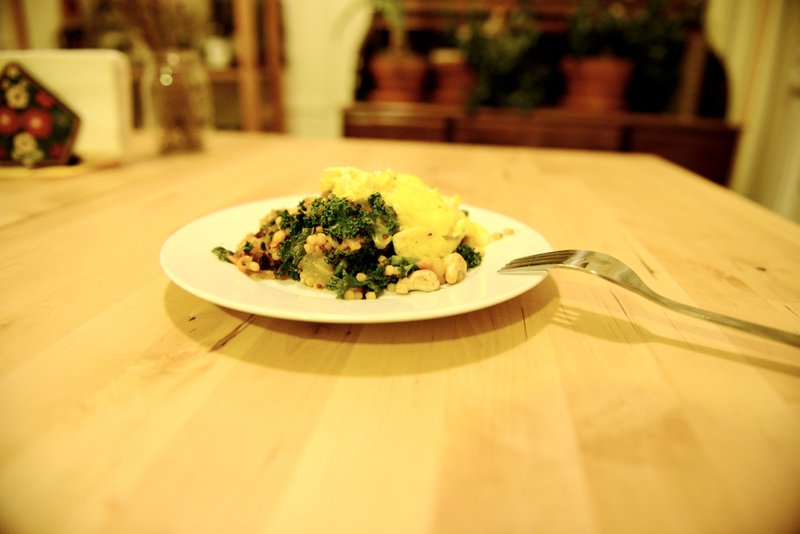 Browned onions, raw cashews, and sautéed kale over a bed of roasted parsnips and beets (seasoned with a bit of yellow curry powder). 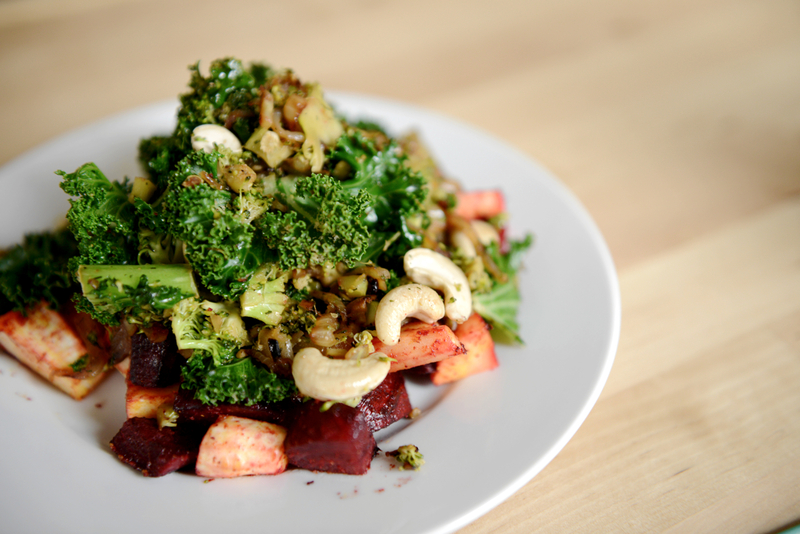 Kale was definitely the key player this week. I ate ‘out’ 3x this week. 2 times too many The fried chicken wings down the street were calling my name!!! I’ll do better next week. 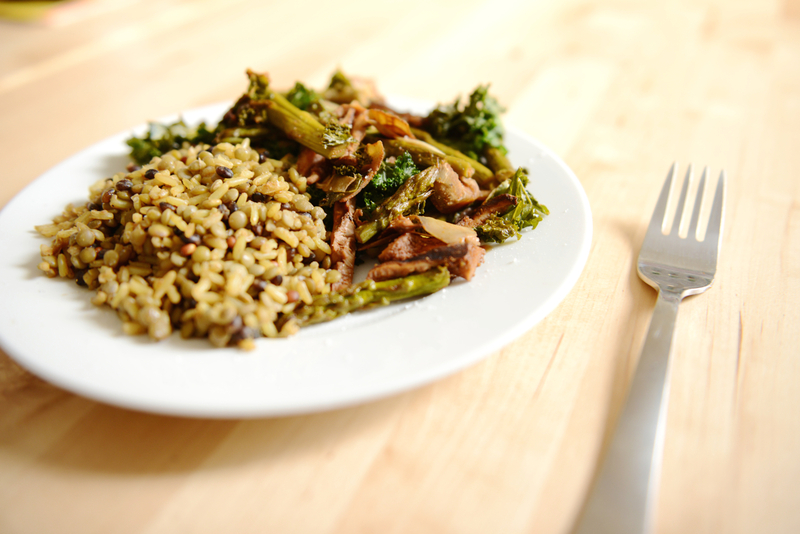 Have some yummy Kale recipes/ideas to share?! I’d love to hear them. Next Week 39: goodbye love.